We have two ugly brass fireplaces that have the potential to be beautiful. 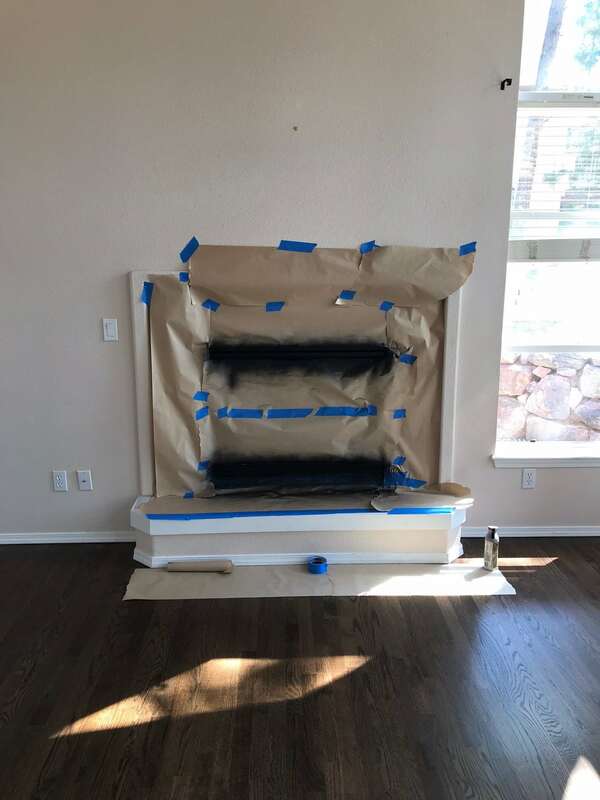 We didn’t have the budget for two expensive fireplace makeovers however, so we decided to spray paint our brass fireplaces black. Note: when I bought the rustic mantle it was on sale. It could be more or less at the time of your purchase. It’s beautiful in person and we’re very happy with it. 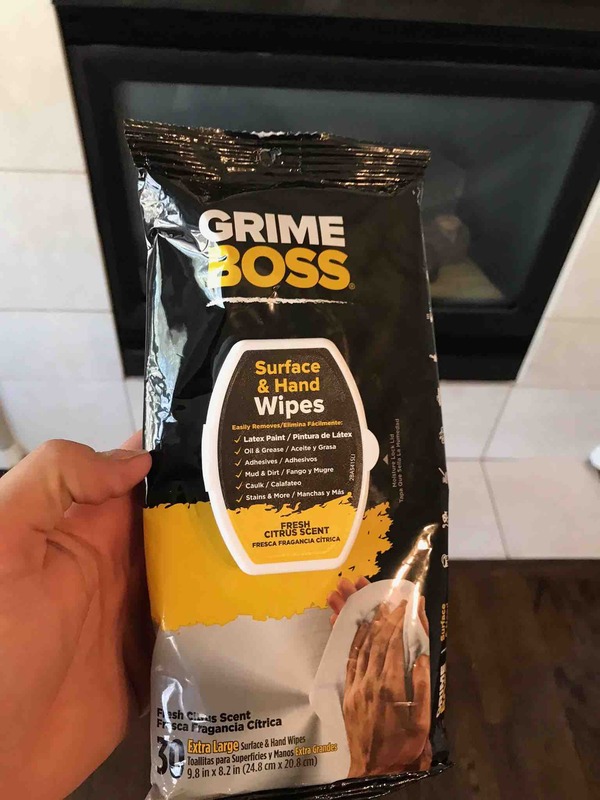 Here are the wipes we used. You should wipe down the fireplace brass to remove any grime before applying the spray paint. Note: we did not need to sand the brass fireplace like we sanded the painted brass door handles and the updated brass shower enclosure. 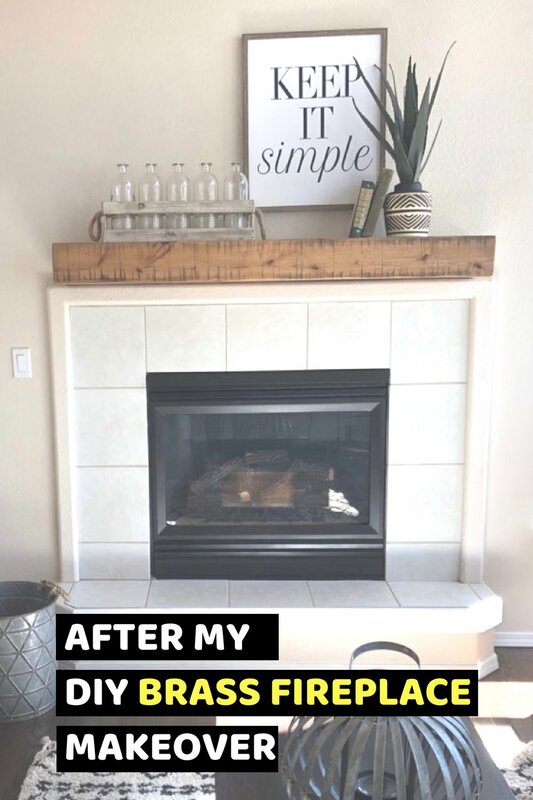 This fireplace brass makeover was much easier! And, yes, our house had ALOT of brass before we renovated it. 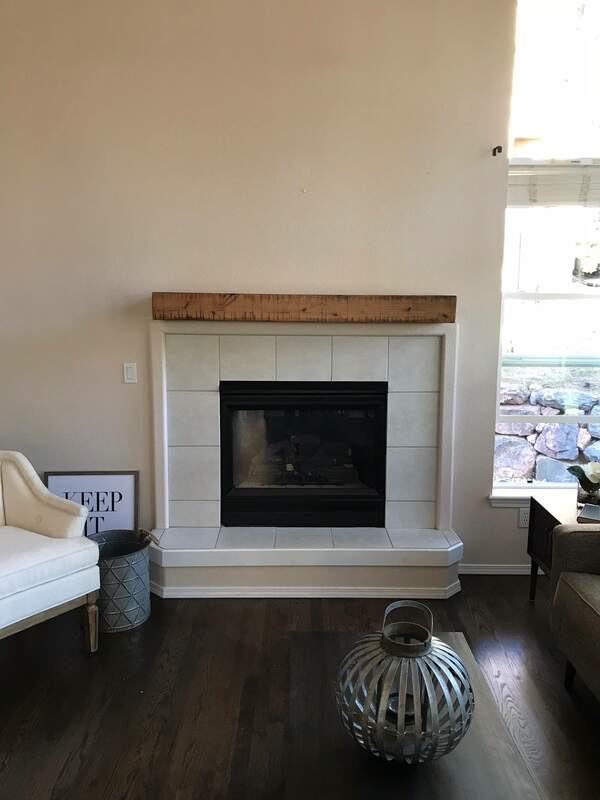 Here are the 5 steps to updating your brass fireplace surround. 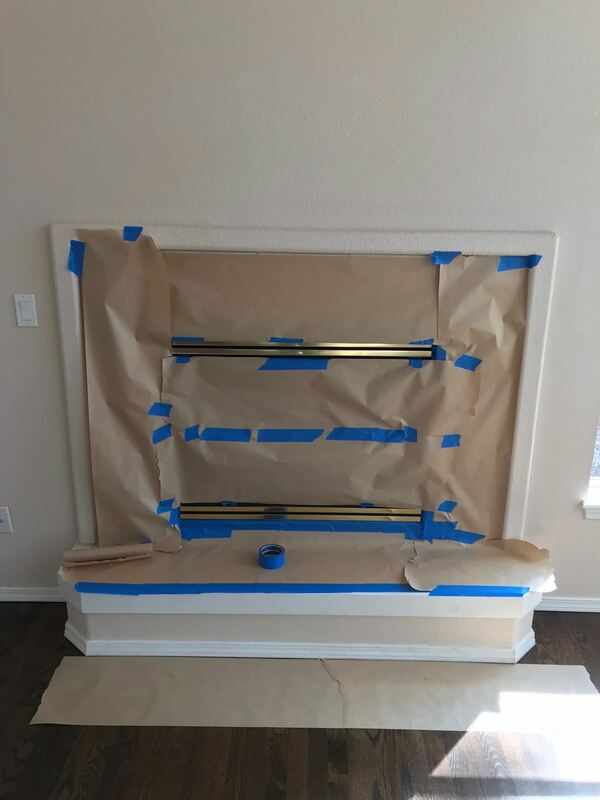 We purchased blue painter’s tape and masking paper to protect the floors and the fireplace tile. You’ll want to be extra careful that you tape as close to the edges as you can. It won’t look great if you get spray paint on the tile. 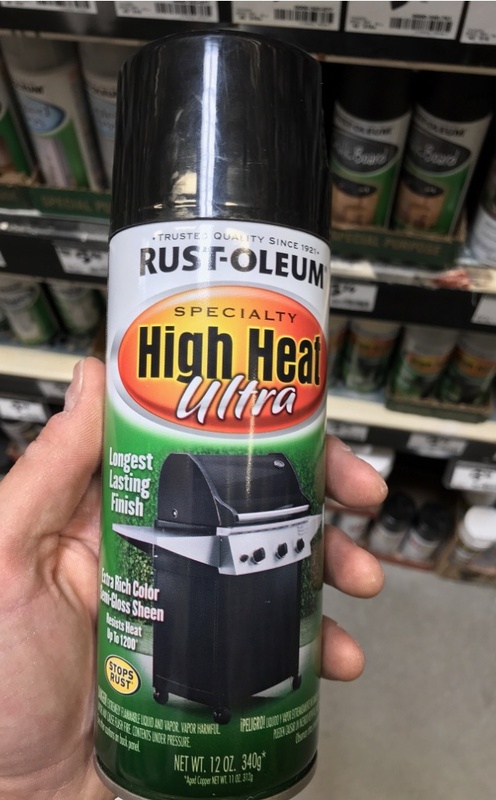 We actually decided to use this Rust-Oleum Universal spray paint in black , but it’s not a high-heat spray paint so we recommend using a product like the one pictured below for safety’s sake. This type of spray paint is usually used on grills so you know it’s safe for heat. Apply 2 coats and let sit for 24 hours. Have good aim and don’t accidentally get your walls or floors! Note: The reason we went with the particular Rust-Oleum product we did is that we thought it would be easier to concentrate that spray can to just spraying the brass, and since we were putting our house on the market that week, we didn’t have time to clean up mistakes. We would have probably been fine with the Ultra product linked above. 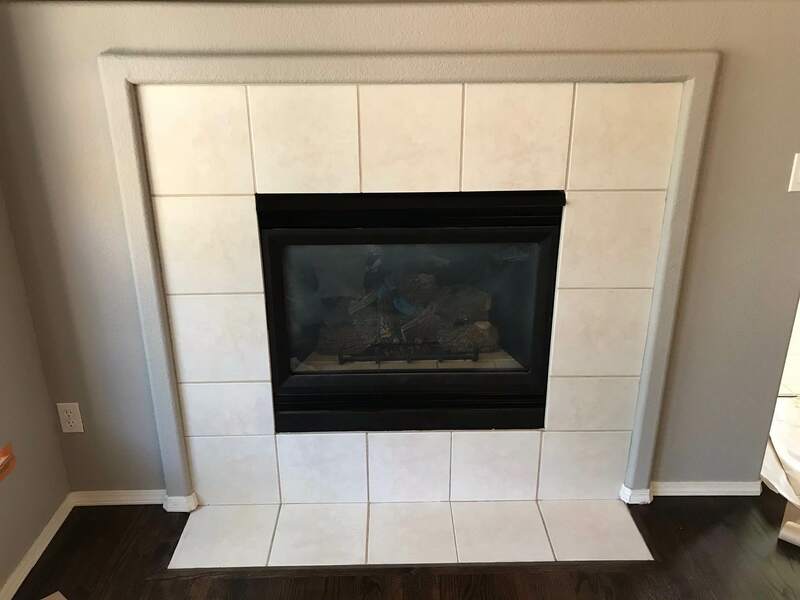 We actually updated two fireplaces – the one in our master bedroom and the one in our living room. 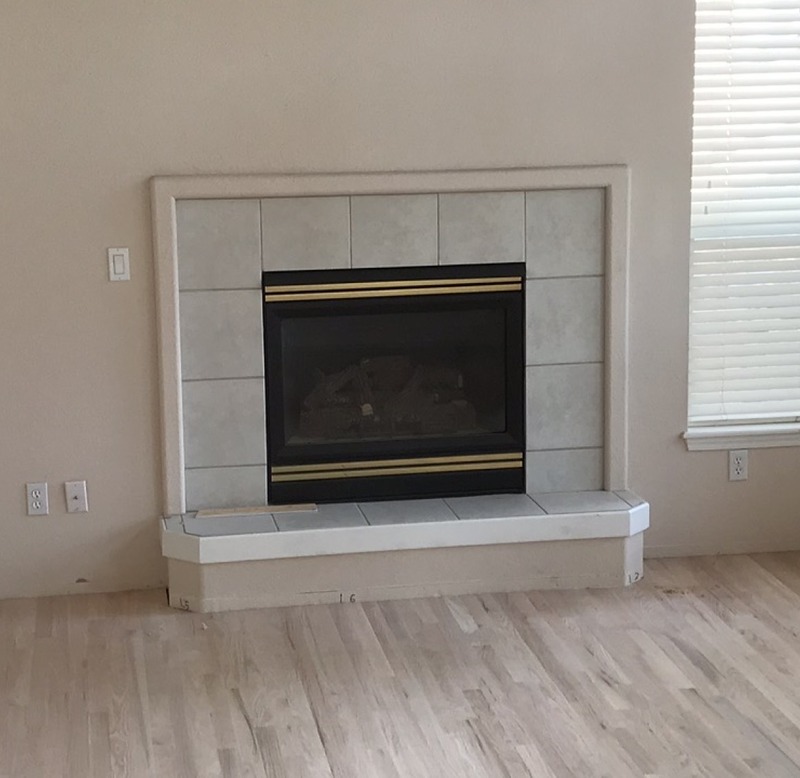 In the second picture above, you see the fireplace in our master bedroom. The wall paint is Benjamin Moore San Antonio Gray, by the way, and we’re obsessed with it. 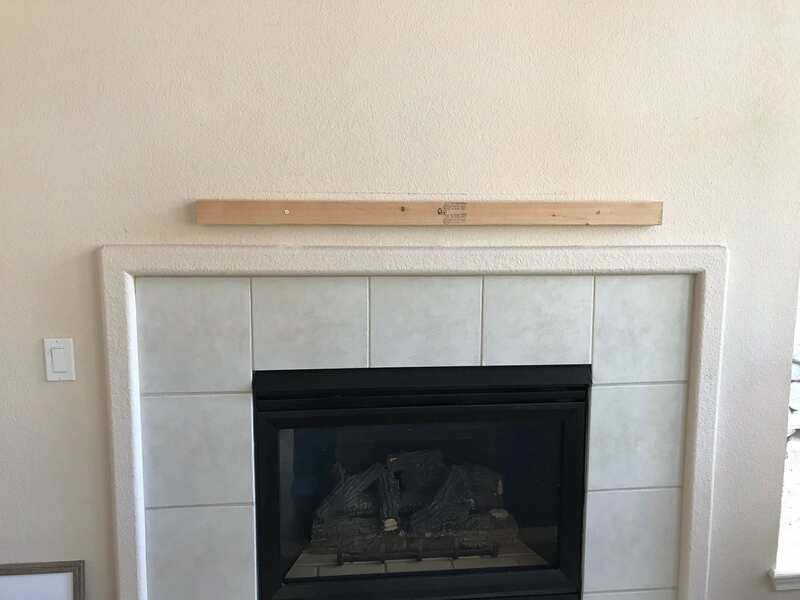 Add the hanger board to the wall above the fireplace by first finding the stud using a stud finder. It was hard for us to locate the stud at first but, once we found it, we were able to nail the hanger board in place. Then you nail the floating mantle to the hanger board. 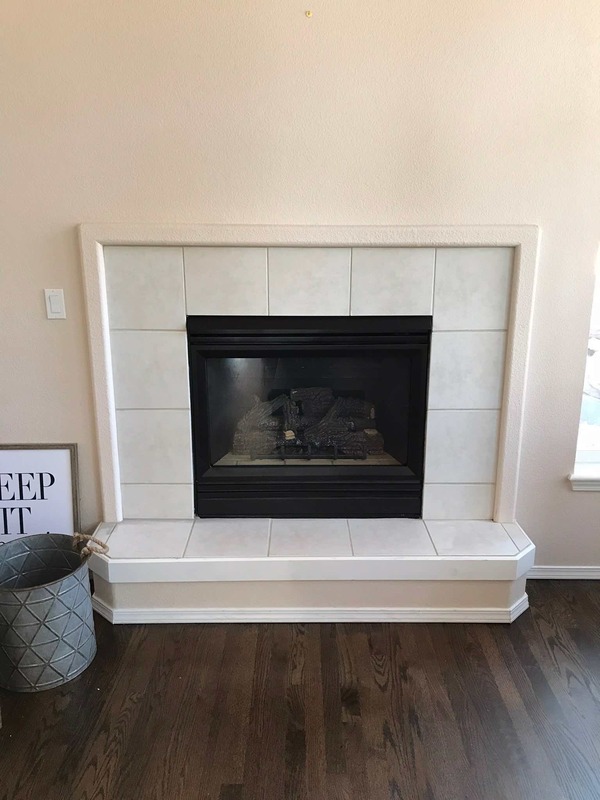 We chose the dogberry collection floating mantle in aged oak in the 60-inch size after looking at hundreds of floating mantles. We chose this one because it had that Chip & Joanna Gaines farmhouse feel. It came in a darker chocolate color too, but we didn’t want it to be too dark. We’re thrilled with the result! 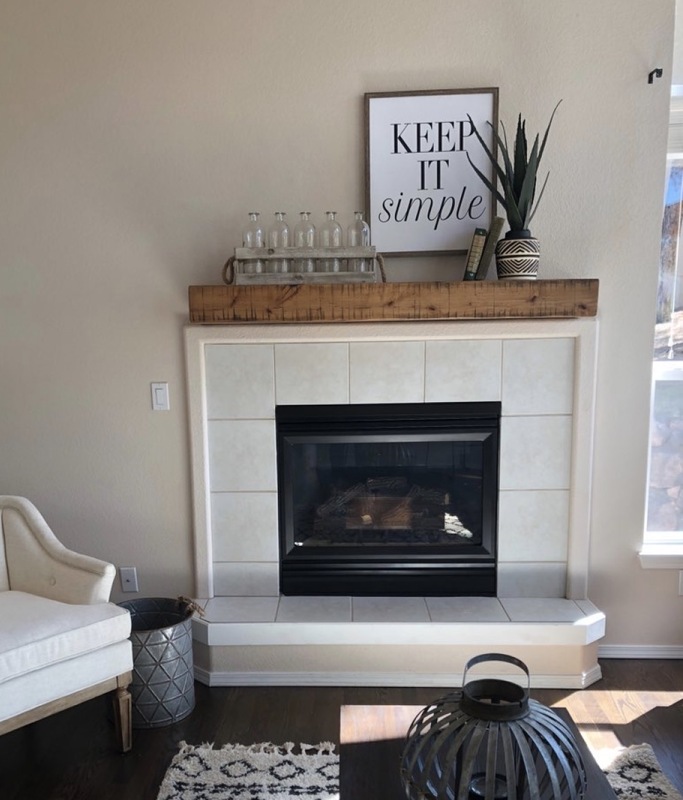 Since we were putting our home up for sale, we had a professional stager (Maple & Moss Designs in Colorado Springs) come in to stage the living room. We love it! Our home went under contract for list price in just 6 days! I think the brass fireplace makeover was worth it! Have you removed the brass from your fireplace? How did it look?